There is something about vintage holiday images that could take an ordinary holiday craft and turn it into an extraordinary holiday craft! 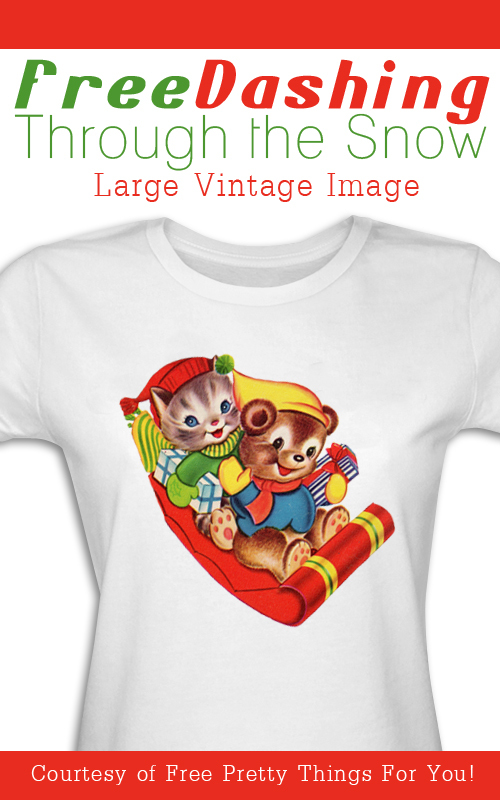 Okay, maybe extraordinary is a tab bit strong.. but.. you have to admit.. vintage images are stinking adorable! This image is no exception. 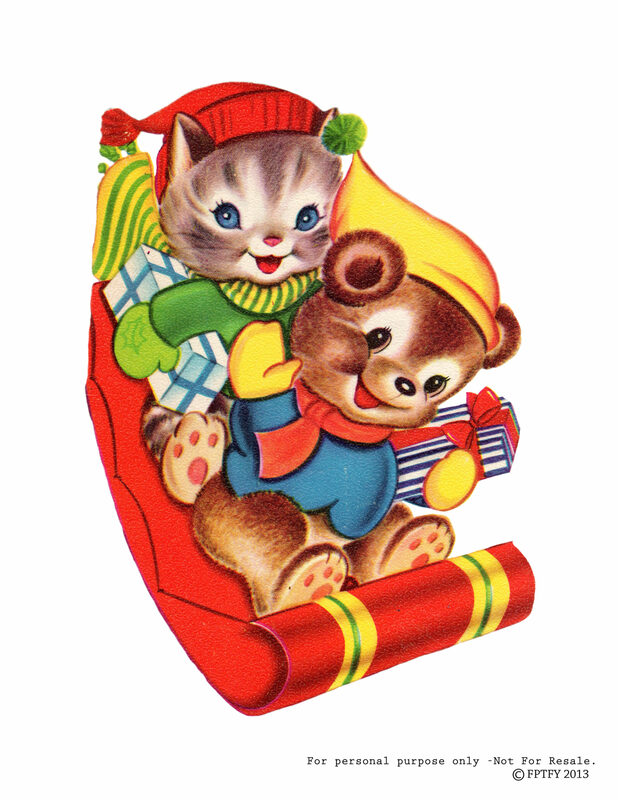 A sweet little Kitty and Teddy Bear on a sled with presents! C’mon..if this doesn’t scream cuteness, I don’t know what does! This holiday image is extra large. 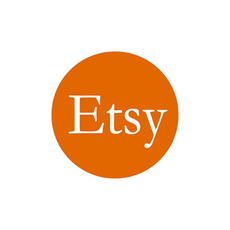 You could used it not only for small projects like cards or tags, but also for large projects like T-shirts, totes or anything else your creative mind can think of! I could just see it on some handmade Christmas jammies! Or maybe on a personalized stocking! Getting your creative wheels turning? I sure hope so! I would especially hope to see some pictures when you do get the chance get to use it. Seeing what you create with all the images I giveaway, truly keeps the motivation to keep this site going! To download, just click the above images and the large jpg will pop up. Then, just right click and save to your computer. If your new here or haven’t been here in a while and are itching to see more holiday cuteness, hop on over to my all holiday’s category and get ready to walk away with loads of holiday cheer! Want to make this craft but not sure where to start? Lil Blue Boo did a wonderful tutorial a few years back that will guide you step by step and get you on the right path.